On 23 June 2013, Edgbaston saw a history being made and a history being created. 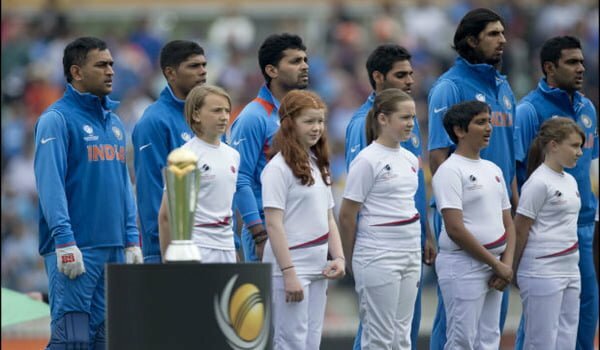 The ICC Champions Trophy also called as the mini World Cup became history as the tournament wont take place in the future. The last ever match under the Champions Trophy was the Finals of the 2013 edition which panned out to be a tightly contested cliffhanger between England and India with India managing to sneak home. India created history by becoming the first and last team to win a T20 World Cup, ICC 50 Over World Cup, World Championship of Cricket and a ICC Champions Trophy. The Big Finals of ICC Champions Trophy 2013, pitted two deserving teams against each other. 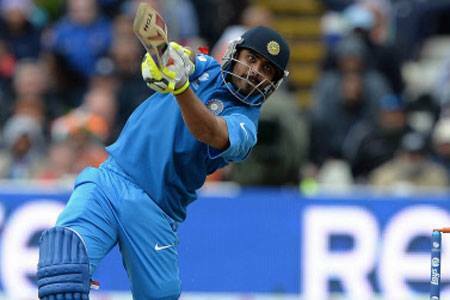 Tournament favourites India faced the hosts and local favourites England in the rain curtailed summit clash. Indians were determined to make the trophy theirs. With IPL Spot Fixing controversy and the Uttarakhand calamity shaking the people back home, winning the tournament will give the fans back home a reason to rejoice. Thousands of supporters invaded the Edgbaston Cricket Ground to make their team feel as they are playing at home away from home. 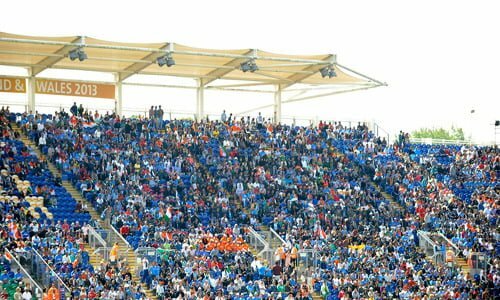 The Indian fans outnumbered their English counterparts just to see the rain delaying the start of the match soon after the teams completed their respective National Anthems. The weather played a cat and mouse game throughout the morning and some people switched off their television sets thinking the match will be called off. The memories of 2002 Champions Trophy where the trophy was shared between India and Sri Lanka came back to haunt the fans. Billions prayed for a match to take place and the prayers were answered. The Sun came out and the match was slated to be a 20 Over game. The finals turned out to be an ODI version of T20 with India defeating England in a last ball thriller and were crowned as Champions. When the Indians batted, the Wicket looked like a traditional English Pitch as the ball seamed a bit and made life difficult for the batsmen. India found it difficult to score quickly. On a contrasting scenario, when England came out to bat, India were enjoying the conditions they get back home. The Edgbaston Wicket behaved like a Chepauk Wicket with the ball turning Square. India exploited the conditions well and handled the pressure at crunch situations better than England. This earned the World Number 1 team their second ICC Champions Trophy. Result: India won by 5 runs. Man of the Match: Ravindra Jadeja for his short cameo of 33 off 25 balls and a spell of 2/24 in four overs. Man of the Series: Shikhar Dhawan for scoring 363 runs at an average of 90.75. From the moment the match started till the match ended, it was a two way race. Both teams had their chances throughout the game. Lets take a look at the Crucial Moments in the match. The toss took place at scheduled time. England won the toss and put India into bat in the overcast conditions. After a long delay, the toss stayed and India were asked to bat in a wicket that has been kept under the covers for over 5 hours. England were expected to unleash the art of seam bowling against the Indians. As expected, England used the conditions well and made life difficult for Indian batsmen. Scoring runs became difficult and India lost the wicket of Rohit Sharma with the score-card reading 19/1 at the end of fourth over. England drew the first blood by giving away just 19 runs in the powerplay overs. The rain stopped play and when the play resumed, Shikhar Dhawan and Virat Kohli repaired the Indian innings with some sensible shots. Dhawan was more aggressive and took chances against James Tredwell and Stuart Broad. India reached the 50 in the eighth over and were looking good for a big score with the likes of Dhoni, Raina and Karthick to follow. England’s fifth bowler’s quota of 4 overs was expected to be the weak link. But to everyone’s surprise, Bopara took the important wicket of Dhawan in the second ball of his spell. Soon Karthick departed after skying Tredwell into the hands of Morgan. Bopara’s next over saw Raina giving catch practise to Alastair Cook and Dhoni offering Tredwell a easy catch at third man. Suddenly India moved from 64-2 to 66-5. Bopara finishing his spell of 4 overs that yielded 20 runs for the fall of 3 important Wickets. Virat Kohli was stranded alone at the other end. He needed a batsman at the other end to support him. His Under 19 teammate Jadeja supported him and the duo shared a crucial 47 run partnership off 33 balls. The made the maximum use of batting powerplay by scoring 20 runs. After Kohli got out at 113-6, Jadeja carried India home with a decent total of 129. A total of 130 is never going to be easy against the Indian bowling attack with the pitch expected to aid spinners. Early Breakthrough is all what India needed and it was provided by Umesh Yadav. He managed to get the ball past the edge of Captain Cook’s bat and Ashwin at first slip took care of the rest. India took the all important wicket of Cook. Even then Trott and Bell were in fine touch scoring runs quickly. Fifth over saw, Dhoni introducing spin for the first time. Jadeja created doubts in batsmen’s mind and in the very next over, Ashwin took the wicket of Trott. Within a matter of 4 overs, England lost 3 more wickets to the spinners including the controversial decision that did Bell in. India were firmly ahead at this stage with Morgan and Bopara struggled to crack the mystery of spinners. With spinners doing the trick for India, Dhoni decided to have them for the later overs. He brought back the pacers and sneaked in 3 overs form Raina. Morgan and Bopara used the opportunity and scored some quick runs. They put together a 64 run partnership in quick time and threatened to take the game away from India. With 28 needed off 18 balls, Dhoni handed the ball to Ishant. But he dashed the skipper’s faith in him by giving away 8 runs in 2 balls. The equation became 20 needed of 16. Then came the turning point of the match. Ishant deceived Morgan with a slow ball as Morgan tried to hit it over the Mid Wicket just to see Ashwin plucking it just outside the 30 yard circle. The Partnership was broken and all eyes were on Bopara to carry England home. The very next ball, Bopara got out trying to smash a short delivery over the square-leg fence which was eventually caught at square-leg. Ashwin was the catcher again. In a matter of two balls, the match turned on its head. With 19 needed of last two overs, England were forced to take the batting Powerplay. As expected, Jadeja and Ashwin are going to bowl the last two overs. In the 19th over, Jadeja sealed the match in India’s favour by castling the danger man Jos Buttler for a golden duck. Soon Bresnan ran himself out with 15 needed off the last over. England failed to handle pressure at crunch situation and surrendered India the Championship. England managed 9 off 5 balls. With 6 needed of the final ball and once the last ball bowled by Ashwin went past Tredwell’s bat, the party began in the Indian camp. Rather than saying India won the match, England lost the match and India were crowned Champions. The young team showed off their dancing skills and Virat Kohli imitated Chris Gayle’s action during the 2012 ICC T20 World Final in the podium. But asusal, Dhoni stayed away from the celebrations. India came into the Tournament as Underdogs and finished the tournament as INVINCIBLES. The new era in Indian Cricket has begun. India are the World number team in ODI’s and they know how to win matches. Yesterday they showed the world why they are considered as the number 1 team. Now its time for India – The Undisputed Champions to conquer more heights in the future.